Discussion on “parenting advice” and “spanking” is complex and can be tough to navigate. I am certainly no expert, but as a general rule I do not practice either—offer parenting advice or spank my kids. What I put forth here is simply another perspective, my own experience of being parented well and my own continued diligence to grow as a parent myself. I believe this is key. More than that, perhaps there is something here that encourages parents or guardians who feel stuck with differing advice and how to move forward. I was spanked as a kid: I grew up in good home with loving parents and two loving older sisters. My parents did the very best they could with what they knew starting out. And what they knew as young parents was that spanking their children was part of rearing good children. So I was spanked as a kid. However, being the youngest child, I was spanked much less than my older sister Nicole ahead of me, and far less than our eldest sister Alycia. In other words, over time my parents regarded this type of child-rearing less effective, much less a tactic they wanted to employ. Whatever the reasons for their change, the point is they did change. They did not lock in one approach to dealing with their kids. They did not dig their heels into whatever advice they received when they were young. They changed. They grew. They trusted the Lord for their kids. My response as a parent has not always been good: I am now married myself and have young children of my own. And to be sure, I have much to learn both from my kids and along with my kids in direct response to how we as a family deal with consequence for certain behavior. Every day there is something new for each of us to overturn, explore, embrace, advocate for and navigate through. In fact, as recent as this week, our family is negotiating the strengths and weaknesses of set boundaries on electronics (TV, computer, phones, video games, etc) for what makes sense for our family. There are differing opinions in our home, as there is sure to be differing opinions among readers of this article. My response as the parent has not always been good this week. My oldest child has not always put forth his best either. Consequences may well be part of the equation for how we move forward, but certainly no more than grace and mercy are part of the equation, apology and forgiveness part of the discussion. These are the mechanics of my calling as a parent, the nuts and bolts of how this machine called relationship runs. I am not ready to spank my 10 year old. I am ready for the both of us to take a “time out”, calm down, catch our breath, and gather our wits. Hitting doesn’t control anything: I have only spanked one of my kids one time and I was instantly devastated over what I had done. I was not parenting at all. I was panicking over my inability to control a situation. The whole scene was ridiculous, lazy, sloppy, and rooted in me winning the battle of parent over child. The reality is that hitting doesn’t control anything, it only displaces the dynamics of a situation. A child will either ramp up to meet your tactics or shut down to escape them. The whole endeavor will only ever end in mess and heartbreak. 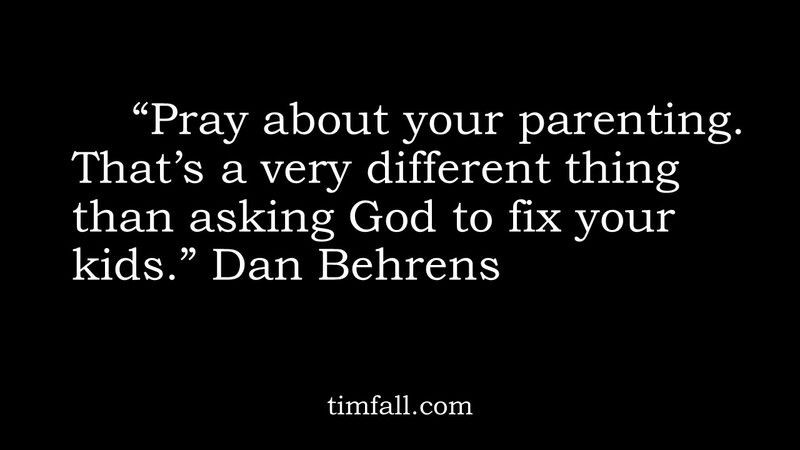 First, pray about your parenting. That’s a very different thing than asking God to fix your kids. Second, talk to your kids about your parenting when there’s NOT some sort of conflict or problem. Ask them questions and really listen to them. Third, ask your kids about certain problem behaviors in them, again when there’s NOT some sort of conflict or problem. Fourth, ask for help. Talk to somebody you trust—a close friend, a pastor, a teacher, somebody who knows you and knows your kids. Be honest about how you’re doing. Fifth, if and when you do it wrong, address it with the same level of urgency as when you address your children’s wrongs. Lastly, give yourself grace. Give your children grace. Give them your best efforts. And challenge them to give you theirs. 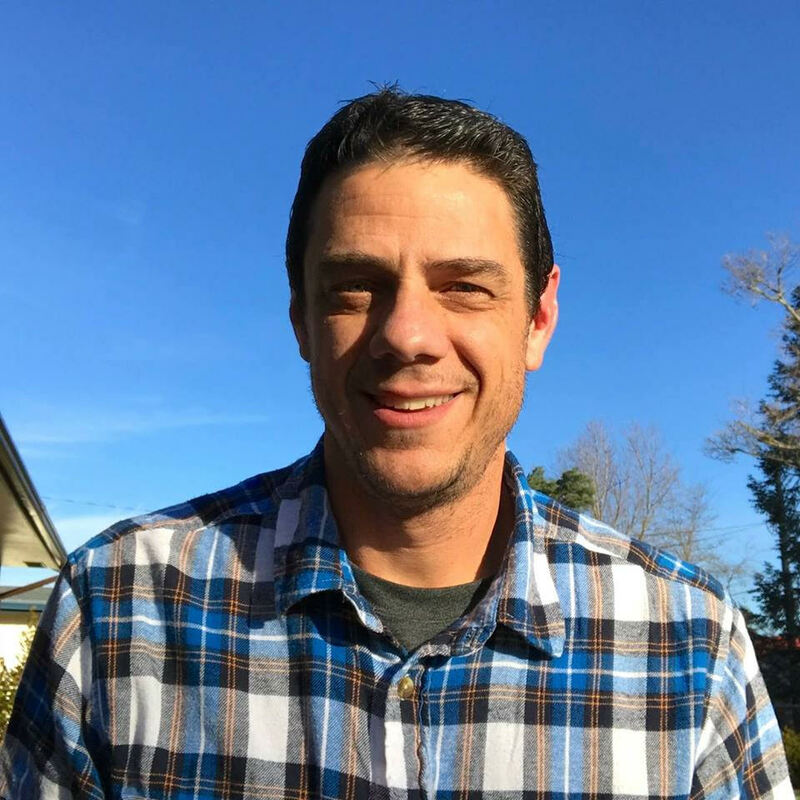 These are some thoughts and points of observation prompted by two blog articles posted by Tim on Twitter last week (Parenting Without Spanking_January 2015 and Bad Parenting Advice That’s Worse Than Bad Parenting_November 2017). Although I do not address these articles specifically, I recommend you read them. Dan Behrens co-pastors Evergreen Foursquare Church in Auburn, Washington, alongside best friend Doug Bursch. Dan is also on Facebook and Twitter and occasionally posts articles at Yes Evergreen. This entry was posted in Uncategorized and tagged children, Dan Behrens, Doug Bursch, parenting. Bookmark the permalink. I really appreciate Dan’s post. Parenting is a huge challenge – and for me and my husband, with 2 autistic kids, we are constantly trying to see what will work and what won’t because there doesn’t seem to be any clear baseline to start from. I appreciate the reminder to give ourselves and our kids grace. Many, many times after meltdowns and tantrums (usually, though not always, by the kids), I find myself reaching out with a hug and saying “We may fight, but that doesn’t mean we don’t love each other.” And then we move on, grateful that God’ s mercies are new every morning. Thanks for this thoughtful post, Dan, and thanks Tim for running it. One of the things I appreciated in this post is that he acknowledges that his parents parented differently but they did the best they could. I find it hard when spanking is condemned, because that implies that my parents abused me or parented badly, and they did not, they weren’t perfect but they loved and cared for me the best they could.